Ariel Kachruo/Assistant Photography Editor Dos Rios Cantina, located at 60 Court St., has specials from $5 tacos to $5 margaritas throughout the course of the week. Since its opening in the beginning of summer 2018, Dos Rios Cantina has been bringing a new vibe to the dining experience in Downtown Binghamton. The name “Dos Rios” stems from the meaning “two rivers,” which gives reverence to the two rivers that meet in Confluence Park in Downtown Binghamton. Jordan Rindgen, owner and general manager of Dos Rios, decided he wanted to do something different while bringing the feel of a larger city to the community. Rindgen said Dos Rios sets itself apart from its competition with its intriguing decor, extensive tequila and mezcal selection with over 120 choices and its Mega Margarita, large enough for any party to share. Rindgen expresses he is happy with the turnout and atmosphere Dos Rios creates for the area. According to Rindgen, you shouldn’t skip on its extensive guac and queso selection on your next dine-in experience, and be sure to try the garlic mojo habanero shrimp. Also, you can’t forget about the tequila and mezcal. 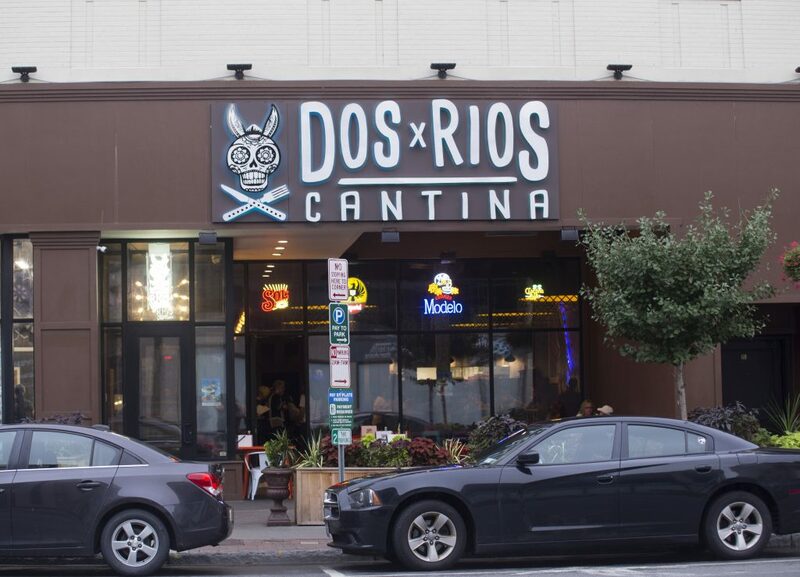 Dos Rios also has specials going on throughout the week to keep your college budget in check, with $5 street tacos and $3 Dos Equis on Tuesdays, $5 margaritas and bingo at 9 p.m. on Wednesdays, with $3 Dos Equis and half-off the Mega Margarita once bingo is over. On the weekends, bottomless mimosas are available at brunch from 11 a.m to 4 p.m.
Rindgen said that he doesn’t see the bustling dining experience Downtown as a threat to the business part of things at all. Rindgen looks for Dos Rios to serve all walks of life with its accommodating space that can suit how any guest may be feeling that night. “We are looking to serve students, young professionals, families, doctors, lawyers, in a nutshell, anyone who is looking to come out for a great drinking and dining experience,” Rindgen wrote. Dos Rios is located at 60 Court St. and is open Tuesday to Thursday from 4 p.m. to 1 a.m., Friday from 4 p.m. to 3 a.m., Saturday from 11 a.m. to 3 a.m. and Sunday from 11 a.m. to 10 p.m.